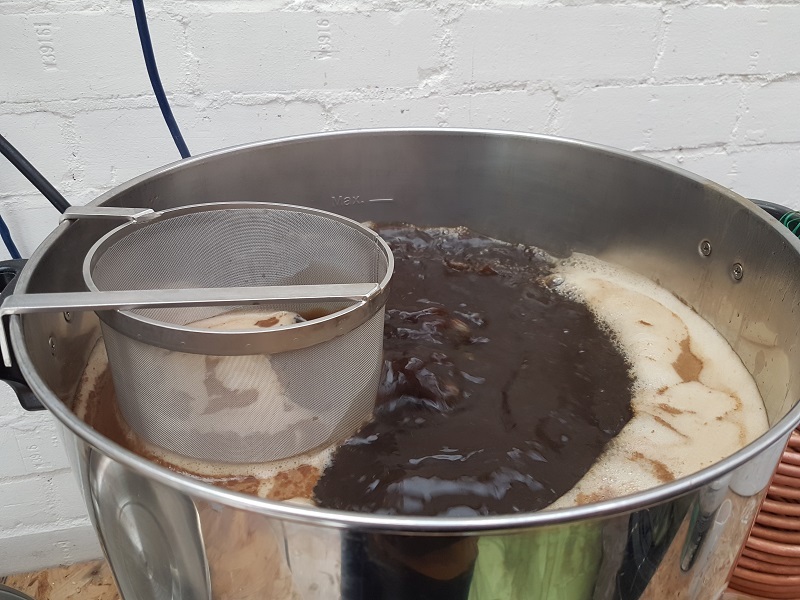 With the grand restocking completed it was time to get back to plan A for 2016’s brews with a Smoked Chipotle Porter. While it may sound like a strange combination I’ve had a few of examples of this style of beer from Red Willow, Mikkeller and Stone and I have to say I really enjoy them. The balance of the malt and the heat from the chillies makes for an amazing drink, perhaps not one to spend the whole night drinking but definitely one to crack open on a cold and wet English August evening! 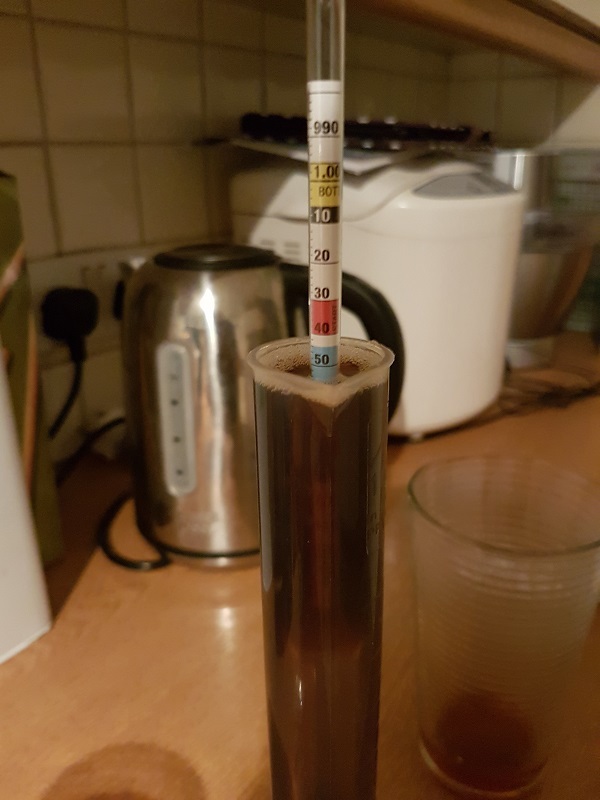 I scoured the internet for some sort of guidance on how much chilli to use and when best to use it but found so many conflicting accounts I decided i’d have to wing it and went with 50g for a 14 day dry-hop. I’ll adjust the recipe next time if this proves to be too much or too little! 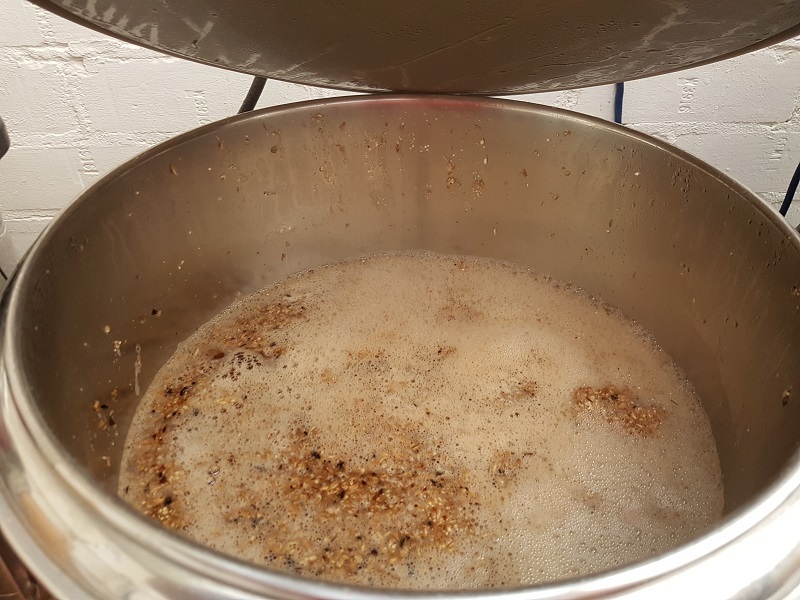 The brewday was very straight forward, all the volumes worked out and the OG was spot on at 1.058. 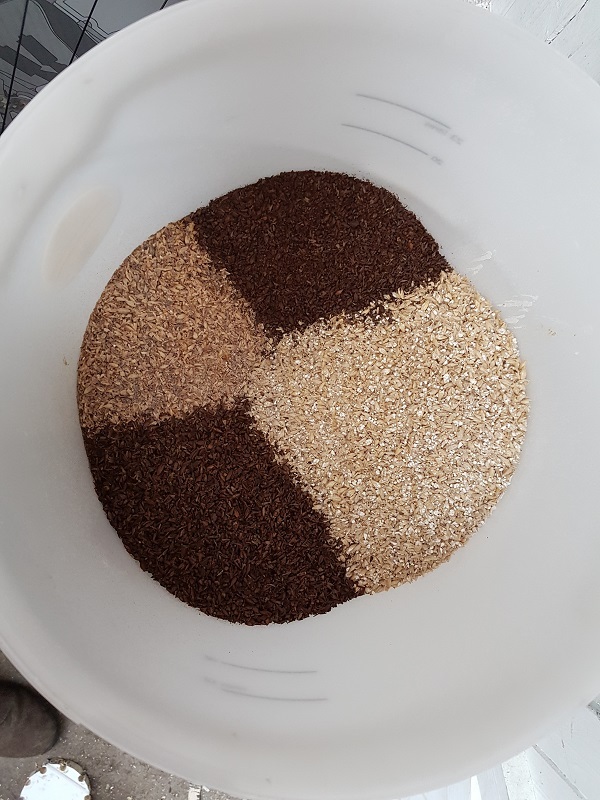 Again I went with another pack of Mangrove Jacks dried yeast (New World Strong Ale M42), and if everything went to plan this would up around 5.5% ABV. Fermentation was over by the end of the week and after leaving the beer another week for the yeast to clean up, I added the Chillies. Firstly they were roughly chopped and tied in a muslin square before being submersed in boiling water for 15 minutes. 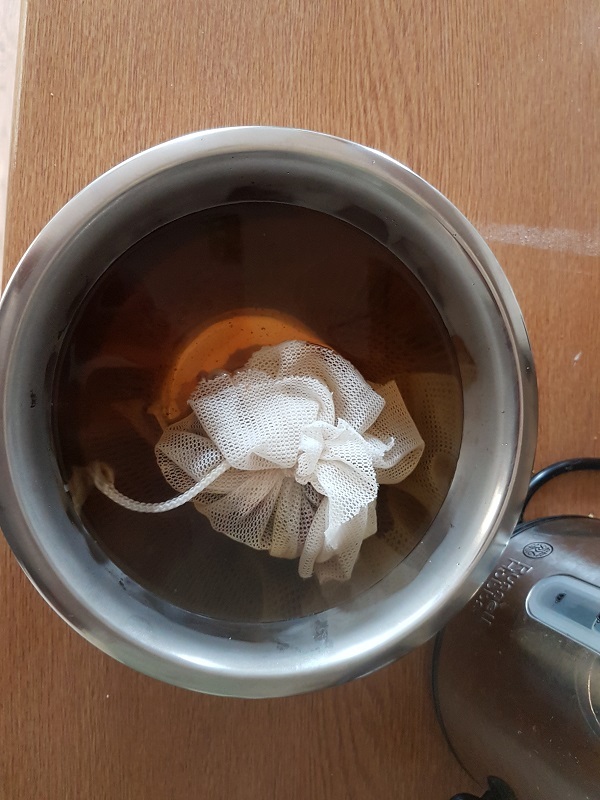 The softened chilli-in-a-bag was then added straight into the fermentor for a 14 day dry hop and the soaking water was discarded. Again I had no idea if this was the right practice or not however it is what I had done making a curry the previous weekend so I figure the theory would be the same for this! 19 days later (real-life got in the way a little) the beer was bottled and kegged. FG was 1.018 so slightly higher than intended but nothing too much to worry about. The initial taste test confirms this is definitely a chilli beer! The porter base is lovely and smooth and the Chipotles really provide a kick to the back of the throat! It’s perhaps a little too much at the moment however the real test will be once the beer has had a month or so conditioning in the bottle!